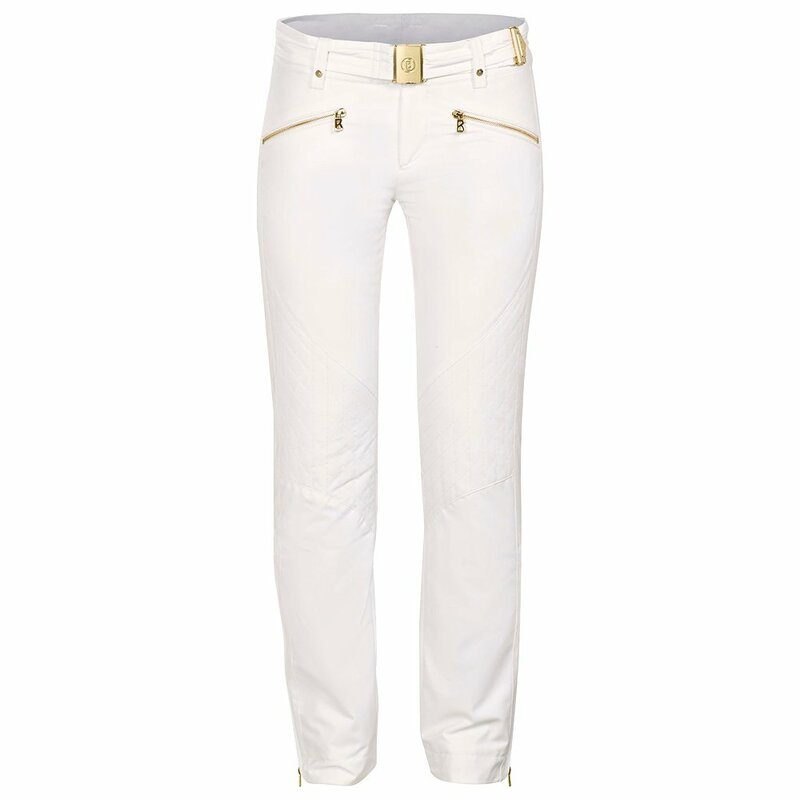 You'll look at home in the snow with the all-white Franzi Pant. With a clean and modern design, these chic ski pants offer all the features you want on powder days, like 80g insulation, side zipper gussets, and four-way stretch fabric. Adjust the fit with a matching belt over the fleece-lined, comfortable waistband. The Franzi Pant has both a 20K waterproofing and 20K breathability rating, making them ideal for snowy winter days. "Are these high-rise or mid rise and is that a belt and zipper in front"
"These pants have a mid-rise fit. The front of the pant does have a belt option and zipper. Hope this information helps. "